With a few exceptions, Audi is known for its understated and modern approach to luxury and design. 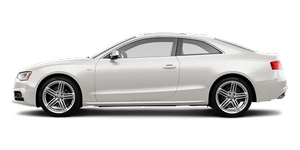 The Audi A5 certainly falls under that description, but infuses a whisper of alluring curves in a shapely form to set it apart from the rest. Inspired by the company's 2003 Nuvolari grand touring concept, the A5 is a slightly less practical but much sexier two-door alternative to mainstream luxury sedans.